Back from Baltimore and ready for more ham radio, Linux and Linux in the HAM Shack. I had originally planned to get this episode out before I left for the Large Installation System Administration conference in Maryland, but it didn't work out that way. I even brought all the audio with me to assemble the podcast during my off time at the conference. It turned out there wasn't any off time, so I wound up having to finish up when I got home. That being said, I have to admit this is my favorite episode so far.Â It seems like Richard and I are finally getting the hang of this podcast thing. We truly appreciate all our listeners. It makes the time, effort and money of putting out this program worth it. In Episode #024, we bring you some final wrap-up from Ohio Linux Fest, including interviews with ham radio operators, Linux users, Beth Lynn Eicher from OLF, members of the Drupal project and more. 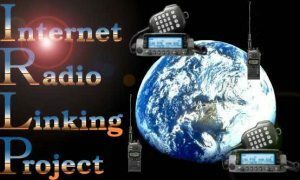 We answer listener comments and questions, of which there are many, and I talk about my getting back on the air and include my new experiences with digital communication via ham radio, from PSK to IRLP. Grab a drink, sit back and enjoy this episode of Linux in the HAM Shack. And if you have a spare couple of dollars, drop them in the can so we can bring our show to the national ham radio convention in 2010: The Dayton Hamvention.